Yesterday, I was Skyping with a friend. I wanted to show him the shaders mod for Minecraft, so I screen-shared with him. Unfortunately, while I was screen-sharing, the picture on the screen started developing odd glitchy boxes. I thought it was an issue with Skype, so I stopped screen-sharing, and they went away. Later on, I was using VNC, and the boxes started showing up again. I then figured that it was probably either the monitor (which is pushing 10 years of age), the VGA cable, or the DVI-to-VGA adapter that was causing the problem. All of those were working fine. I checked to make sure that my NVIDIA drivers were up to date, and they were. I unplugged the graphics card and booted using the integrated graphics on the 4770k, and everything was fine. I plugged the GTX 660 back in, and uninstalled the device and its drivers. Windows immediately recognized it as a new display device, and used it as a standard VGA controller, which displayed things fine, albeit at 800 x 600. Windows installed the graphics drivers, and, sure enough, once the Windows device installer thing said it had installed the proper drivers, the glitchy boxes showed up again. Not only are the boxes annoying, but they're also slowing down my computer's performance drastically. I'm not sure if it's the card itself with the problems, or driver issues, but I'm now installing the drivers from the CD, in hopes of the problem being fixed. Has anyone else had this problem, or does anyone know how to fix it? Also please note that the boxes are only there when I'm logged on. TL;DR: I'm getting glitchy box things covering my screen, slowing my computer's performance by a lot, and I think it may be a driver issue. Im personally going to say otherwise, i think this is ram related. Ive had similar issues before, had my card RMA'd and only for the new card to do the same, did a quick ram test.. all was fine, took out the DIMMs one at a time.. and bingo problem solved. more ram later, all was good. System Manufacturer/Model Number Built by badgers!!! I also heard it was a RAM problem, so I ran the memory diagnostic tool. It didn't detect any problems. I currently only have one RAM stick in right now (loaned the other to my brother), so I'll pull it out, clean the connections, and put it back in, and maybe try a few different slots. If all else fails I'll have to send the RAM back if I can. I tried the RAM in different slots, and even tried the DIMM from my brother's computer. The problem still persists, so I don't think it's a RAM problem. nvidia just came out with a new driver, give it a shot. Do a custom/clean install of the drivers. Don`t let windows install the video drivers. Update: I did a clean installation of the new drivers, but the problem persists. I'd also like to emphasize a point in the OP that I sort of brushed over initally: the issue only happens when I'm logged on. When the computer is booting and when I'm at the login screen/Windows is shutting down everything is fine. There are also no problems when using the graphics card when its drivers are not installed. This is leading me to believe it's a driver problem, or perhaps the card is bugged and isn't cooperating with the drivers. 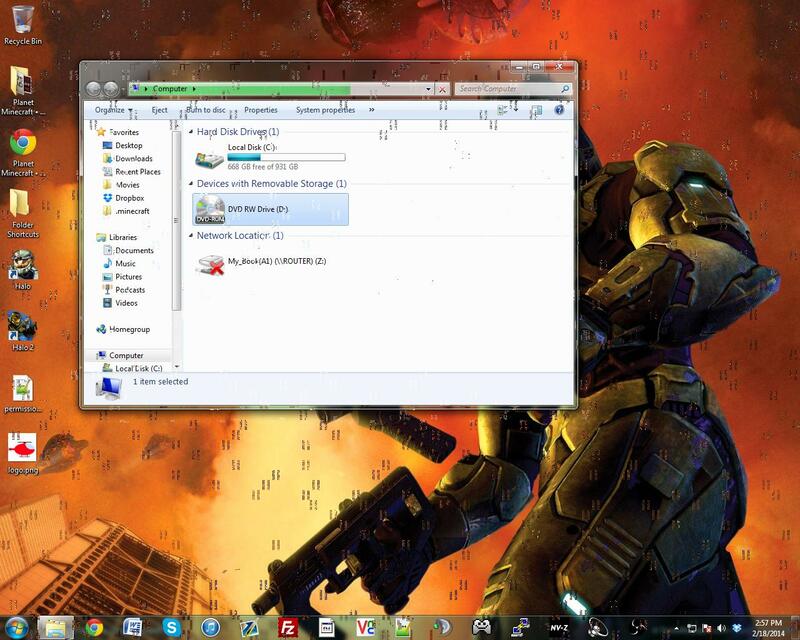 Alright, I just figured out that the problem is nonexistent when Windows Aero is turned off. Keep working on it, it should be perfect, my 660 TF3 worked flawlessly. If you think it`s the card by all means contact the manufacturer and see if they can help you. EVGA has Great customer support. Try going back 5 or 6 drivers, ya never know. I called EVGA customer support earlier today, and they suggested that it was probably the power supply beginning to fail. After all, it's getting to be 8 or 9 years old, so if anything, it's probably the power supply failing to produce enough power for the card. That explains why the less power-consuming non-Aero mode did not have the artifact problem (the EVGA guy told me that the glitchy blocks are "artifacts;" I had heard the term before but had no clue what was meant by it), while Aero mode, games, and other power-consuming tasks had the problem. And so begins my search for a new power supply. I found these; any suggestions? Wmpnetwk.exe causing problems with speed and performance.